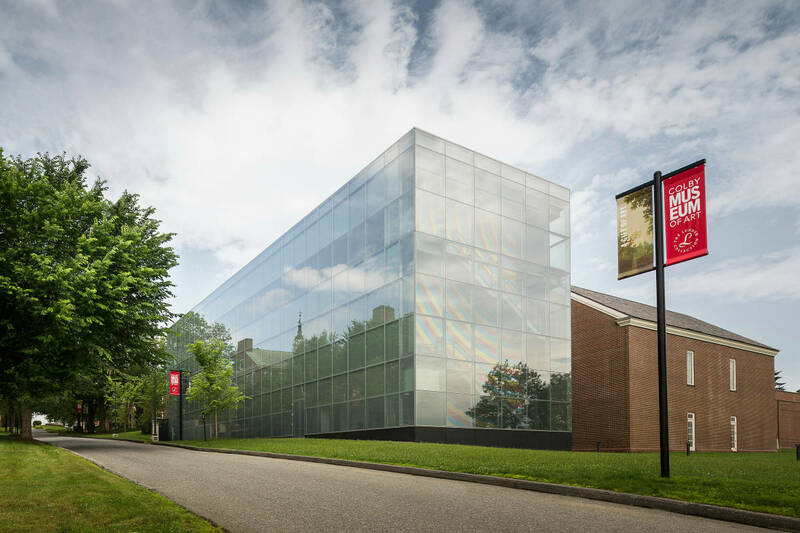 The text on the side of the new gorgeous glass wall of the Colby College Museum of Art reads, “The museum is a school: The artist learns to communicate; the public learns to make connections.” Tucked in tiny Waterville, Maine, these words embody the museum’s mission: To teach not just the students on campus, but also to foster the broader connections between people in the community and around the world. We sat down with Sharon Corwin, museum director, to learn more about how Colby’s museum is pushing the boundaries of the contemporary American art scene in Maine thanks in large part to a recent donation of the enviable art collection of Peter and Paula Lunder. Appraised at more than $100 million, the collection, which represents a lifetime of collecting, includes everything from Winslow Home and Georgia O’Keeffe to James McNeill Whistler. Lunder, the former president of the Dexter Shoe Company, is a Colby College alumnus. Tell us about the new gift and what it means for the Colby Museum. SC: This year, the Lunders made another extraordinary gift—now the collection is almost just over 1,500 works of art. And their commitment expanded beyond the works of art through the Lunder Institute for American Art, which is launching this coming year. Artists, curators, creators, and scholars will come to Colby to work with the collection in the museum, to engage with our faculty and students on Colby’s campus, and to really create opportunities for art dialogue, art creation, and art scholarship. How does this fit in with the arts scene in Maine? SC: Maine is such a special place for the arts. Historically, it’s been a place artists have been coming to for centuries, from Winslow Homer to Marsden Hartley and Alex Katz. One of the great things about Maine as a destination and as an arts center is the way in which there are these different entities that really complement each other well. 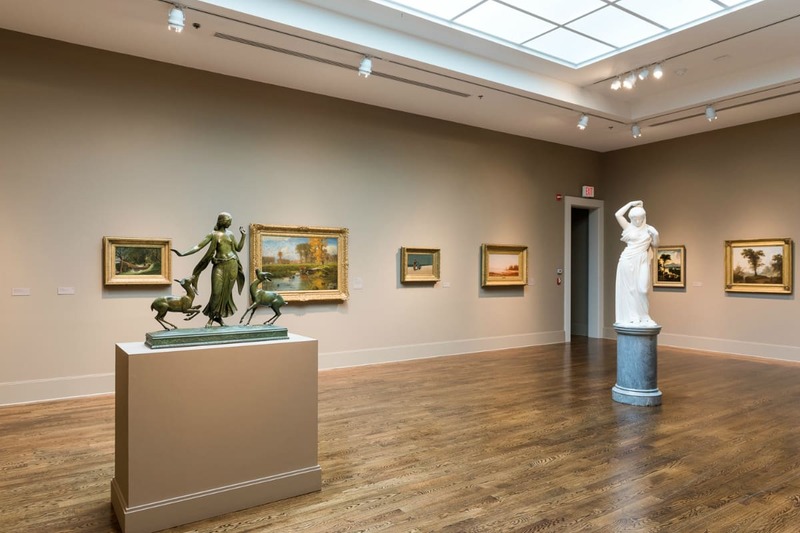 You’ve got the Farnsworth Art Museum on the coast, the Colby College Museum of Art here in Waterville, the Bowdoin College Museum of Art, which is a much more encyclopedic museum, and you’ve got the Portland Museum of Art with their beautiful galleries. I think our galleries and our focus on contemporary American Art really allows us to do world-class programs in those areas that complement the rest of the programs happening in the state. 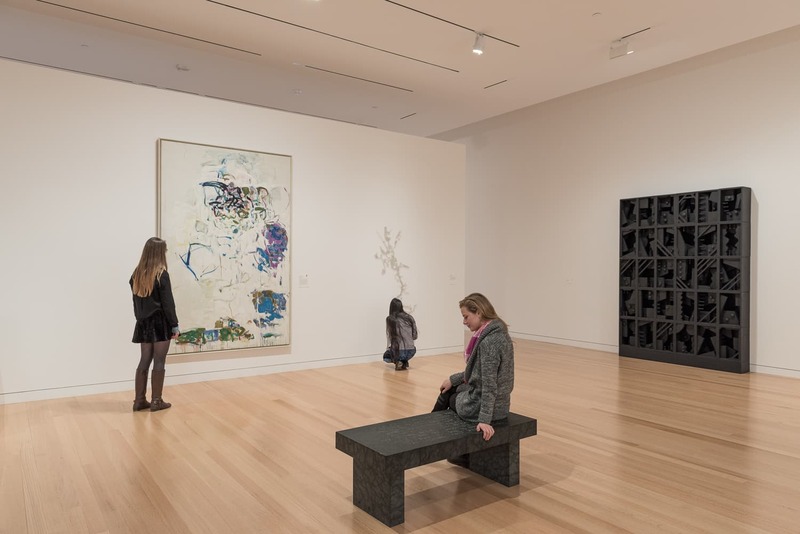 In what ways does the Colby Museum work to foster connections with the Maine community through art? SC: When we opened up [the Lunder] wing in 2013, our attendance went from 20,000 annually to 50,000 annually. We’re free and open to the public so that anyone can come into our galleries and have a world class experience with some great art, and it’s a really exciting thing to be able to offer. The arts and cultural opportunities will play a really big role in this next chapter of Waterville’s history, which I think will be such a vibrant one. With contemporary art, we’re constantly pushing the boundaries of what “art” means. Why is that important, and how does the museum help define contemporary American art? SC: One of the key things I hope we’re able to do here within a liberal arts context is ask these fundamental questions like: What is art? I think especially as a college art museum to be able to ask those kinds of questions, to be able to challenge assumptions, is a great place for us to be. I think the ability to bring artists to Colby and to the museum through the Lunder Institute and have them ask some of the most pressing questions, not just in the art world but in the world today around civic engagement [will help push the boundaries]. There will be opportunities for the artists to be in dialogue with each other, with scholars, and with students and faculty in a way that can generate responses to some of these core questions and issues. 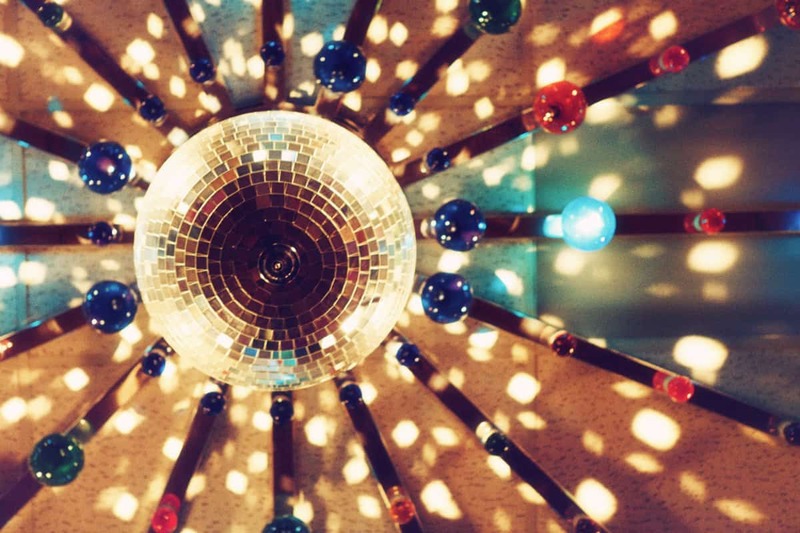 How do you see the museum changing and growing in the next few years? SC: I think we’re going to continue to have one of the greatest collections in the world. 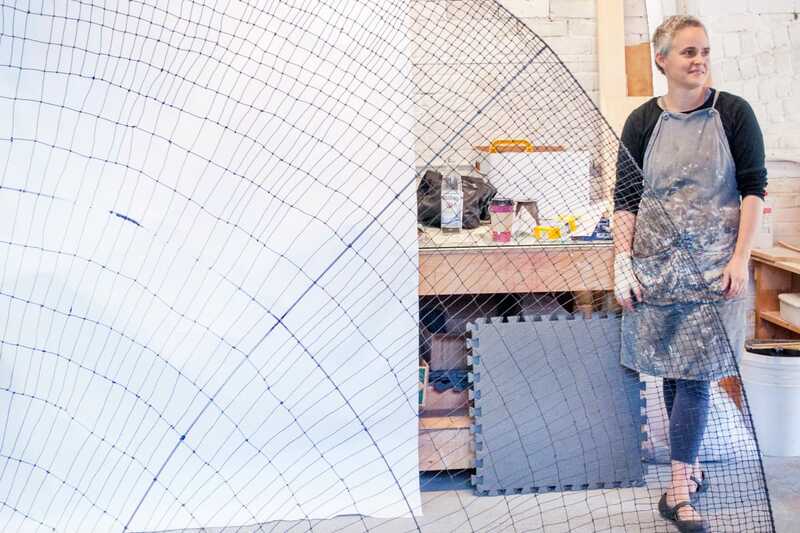 The Lunder Institute for American Art is going to be offering opportunities for artists and scholars to do really groundbreaking projects here, at the museum, on campus, and in Waterville. I think our connection to the academic program will continue to grow and strengthen, and I hope that our connection to the civic life of our town continues to grow and strengthen and that we can make an impact on the lives not just of Colby students but our visitors, our residents of Maine in really profound ways.